65 registered members (Amenhotep, Anthony, 2015_PSD, 4WD, antik, 87sammy, 8 invisible), 796 guests, and 29 spiders. 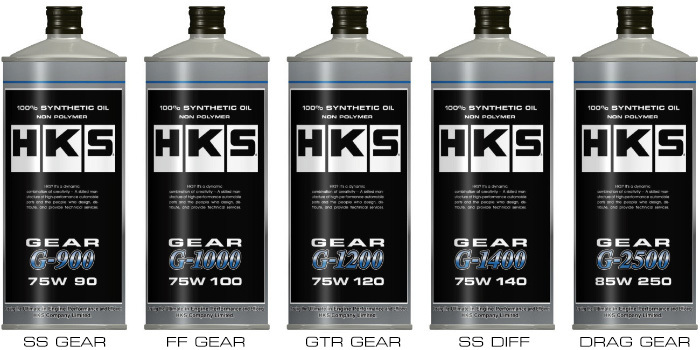 Street and race proven HKS Gear Oil range has been renewed with clearly marked viscosities with a range of 5 different type varying from No. 90 to No. 250. You can always find the best grade yor your car. Using 100% synthetic non polymer oil for the most efficient lubrication from economy to high power applications which require strong load capacity and low friction. A range of 5 different types varying from #90 to #250 are available for various applications. You can always find the best grade for your car. Using 100% synthetic non polymer oil for the most efficient lubrication from economy to high power applications which require strong load capacity and low friction. Last edited by Izb; 01/13/18 09:27 AM. Last edited by Izb; 01/13/18 10:24 AM. OCI 5K using TSC conventional Travelers oil. I will be happier buying my Redline gear oil. I'm the same with BJD78. I'm sure its a great lube, but after joining BITOG, I no longer get the tinglies running pricey stuff. And my wallet is happier. Somebody who's all about JDM will for sure want it for the stickers. If a company can't even stick to the regular nomenclature with regard to viscosity grades (hint SAE J306), then to my opinion, every single claim that they make after that point is drawn into question.